Communicating information simply and concisely is a fundamental of good design. Every product and service is a conversation that you are having with the user, and making your point clear is the goal. In a world where everyone was exactly the same, that would be simple, you would select the best practice to communicate your information and apply it everywhere. Unfortunately, human beings are just a touch more complicated than that. The communication methods that work perfectly for one person are abhorrent to another. Some people can only retain information by reading it, others by hearing it spoken about, and even within those brackets there are whole worlds of potential confusion based on how the information is packaged out. Nowhere is this clearer than in the world of recipes. We all eat, and the majority of adults cook – at least occasionally – so the idea of a recipe is probably familiar to everyone. What a recipe actually is, when you dig into it, is a list of complex instructions broken up into an easily digestible form. Simplified and segmented in such a way that someone who has no prior knowledge of the process can easily complete it successfully. Within the labs we have discovered that everyone has different preferences when it comes to recipes, not just the kinds of food that they like to eat, but also the way that they consume the information. The majority of people in the labs have at least one recipe book, but they are rarely used “actively” during the cooking process anymore. Once a recipe has been learned from the book, it is used as a base to work outwards from into new experimentation. The books themselves become useful for reference when purchasing ingredients, although they are also used for inspiration when nobody has a clue what they want for dinner. Websites like Pinterest and Instagram are another great source of inspiration, but when recipes are provided on them, the format is usually too restrictive to make them particularly useful. They are great for pointing people in the right direction or giving a visual guide for both presentation and judging the end results. Having said that, clever filters can leave real life food looking a little bland in comparison, so as with anything social media related, those pictures should be taken with a grain of salt. Voice assistants aren’t any of the team’s go-to solution for recipes, because they lack the visual component that we usually rely on, but they can be great for walking you through the steps of a recipe while you are cooking, with the option to stop and start as needed and some of the assistants out there even retaining the step of the recipe you are at for later, even if you search for other details in the meantime. 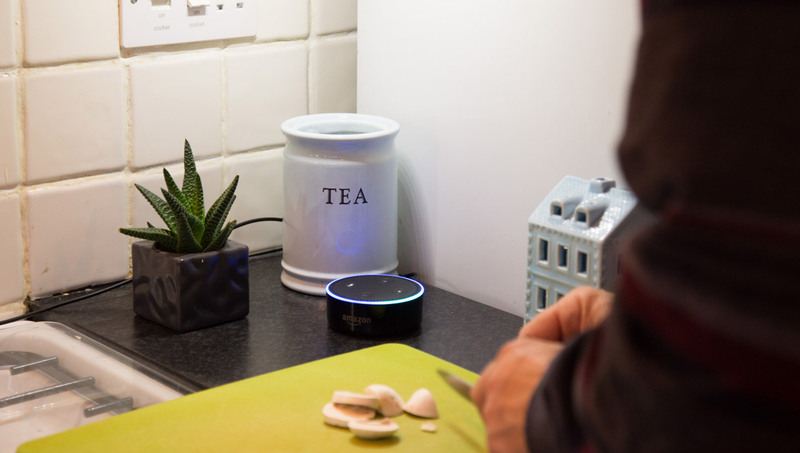 Voice is still early in its adoption cycle, but it seems likely that it is going to become a major presence in the kitchen. Both Magazines and Blog Posts seem to fulfil a similar function, helping users to discover new recipes that they might never have even considered searching for. The actual layout of the information isn’t much different from in a recipe book, but the extra photography can make a big difference to visual learners. Recipe videos seem to be a big point of contention within the Labs. Some people love them, some hate them. The biggest complaint about the mini recipe videos that are so prevalent online is that the pacing is much too fast, giving the user no chance to put each step into action before the video leaps ahead. YouTube channels devoted entirely to cookery are great tools for discovery, particularly if you enjoy the host’s personality. Something that can be put on in the background while working on other tasks. 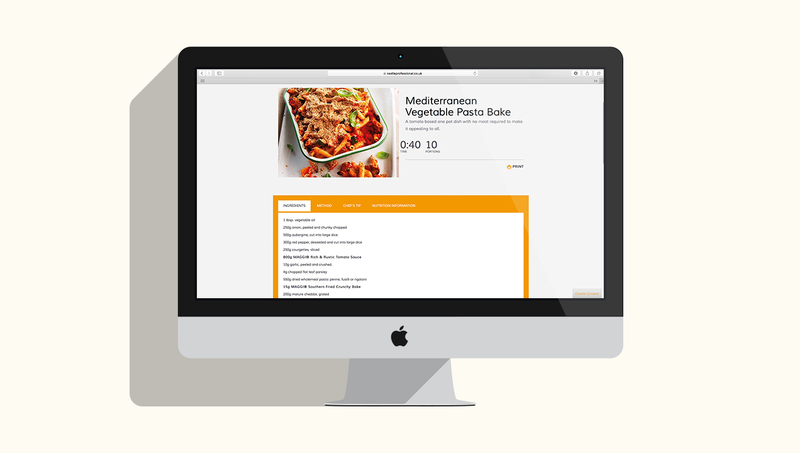 There are many many websites out there with full recipes laid out in a similar way to books, and ultimately, those websites are where the majority of us seem to end up after we’ve selected the dish that we intend to prepare, with the more diligent of us cross-referencing several recipes for the same dish to ensure the best results. But the biggest use that we found for Google in our cooking was to look up specific details, whether it is a culinary term we aren’t familiar with, the cooking times for an odd ingredient or for measurement conversion; search engines are our go-to for problem solving. In the end, it seemed like everyone used a little bit of everything, with some outliers focusing in exclusively on only one channel for their recipes. Learning and interpreting new instructions and information can be some of the trickiest things humans do in their day-to-day lives, so an omni-channel approach seems to be the best option to ensure the widest coverage. Although, of course, deep research into your user-base will provide you with the area where you should be placing your focus.